Although lots of fare alert sites claim to offer exclusive flight deals, err on the side of caution. I can’t count how many times I’ve gotten excited about a flight deal only to find out that it doesn’t exist. Way to play with my emotions! Avid cheap flight seekers like myself aren’t easily impressed by fare alert sites. That’s because not every “good” deal is a “great” deal. In fact, I don’t usually take a deal at face value unless it’s from a site that I trust. After lots of trial and error, I now rely on a handful of fare alert sites that I know offer solid leads. The Thrifty Traveler is one of my favorites. After months of successfully finding flight deals through their free daily newsletter, I’ve upgraded to Thrifty Traveler Premium. 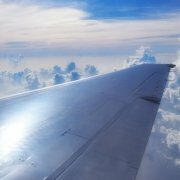 For those who think that paying for a flight deal email subscription is counter-productive, here’s why you’re wrong. For the month of April, as a premium subscriber, I had access to over 40+ flight deals! Founded by Jared Kamrowski, Thrifty Traveler (TT) teaches travelers simple ways to fund their travels. The site primarily focuses on how to use points and miles earned through credit card sign-up bonuses. TT also shares domestic and international flight deals daily (towards the end of the day). 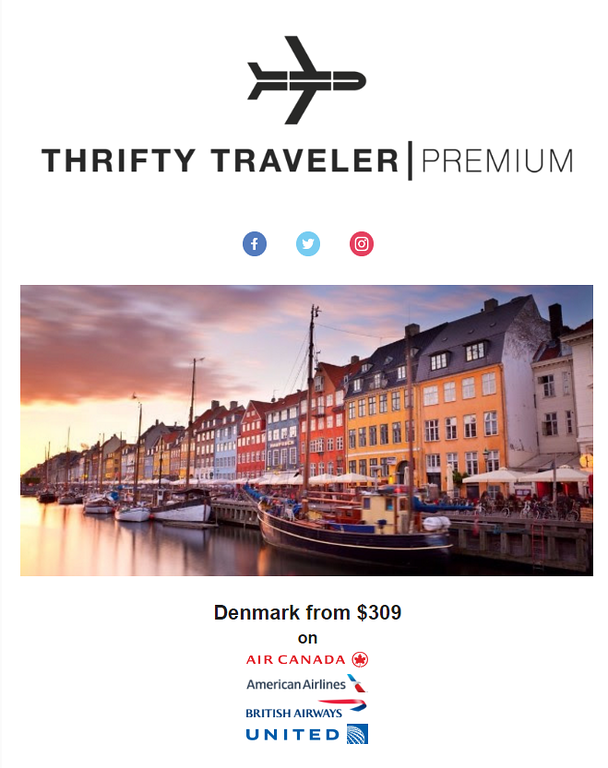 For the ultra exclusive international flight deals that aren’t shared on their site, you have to sign up for the Thrifty Traveler Premium subscription service to get access (more on that later). Thrifty Traveler has been my go-to resource for important travel news for the past few years like the recent airline electronics ban and hotel mergers and acquisitions. Through the daily free email newsletter, I’ve booked many flights to destinations around the world including a trip to Lisbon, Portugal last summer. I also owe a recent trip to Chicago and upcoming trips to Toronto and Montreal to TT. Furthermore, I recently saved 5,000 Delta SkyMiles on round-trip tickets to Rome. I would have never known about Delta SkyMiles flash sales without the heads up! Late last year, Thrifty Traveler announced the launch of Thrifty Traveler Premium. 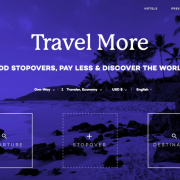 Thrifty Traveler Premium is a paid flight deal email subscription service. It has all the things that I love about the free newsletter but it has a few more bells and whistles. Instead of sifting through flight deals on their website, premium sends exclusive international flight deals from various U.S. cities right to your inbox. 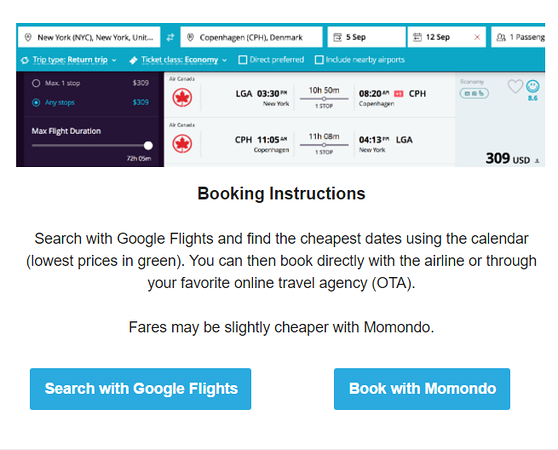 Thrifty Traveler’s travel hacking team searches for the best international flight deals 24 hours a day and they send you an email immediately when they spot a deal. Don’t worry, these aren’t last-minute deals either. I’ve found many deals a year out! Expect 1-3 emails a day and on average you can expect to save anywhere from $250 to $500 a deal. You also get instant access to error fares that do not appear on the site. This means that you can book time-sensitive deals faster. You can also conveniently search and book flights – no login required. Not what you expected? No sweat, the subscription comes with a 30-day money back guarantee. While most fare alert websites cover major airports across the country, Thrifty Traveler Premium offers subscribers more departure options. You can customize your alerts by choosing a specific departure region and fly out of over 80 cities. Are smaller regional airports covered? Yes, absolutely! 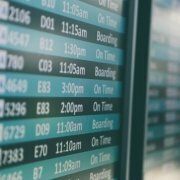 Since premium includes smaller regional airports, you’ll save more money by catching flights closer to home. Need to update your account? You can easily change your email address and email preferences at the bottom of each email. The Thrifty Traveler Premium offers its service for $35 USD. Once you’re locked into this price, it will never change. With the annual plan, you’re investing $2.08 $2.91 per month. Since most subscribers save on average $250 off normally priced fares, the ROI (return on investment) is incredible! I’ve also seen flash sales for $20 a year which reduces your investment to $1.66 a month. Even if you only book one flight a year through TT, the savings are worth it! Also, don’t worry about rate increases. Your premium subscription rate will always stay the same once you’ve signed up. Thrifty Traveler recently announced that they’ve created an exclusive Facebook Group for premium subscribers. The group features the hottest travel hacking tips and money saving deals that are not featured on the site. Thrifty Traveler Premium is great for travelers who are open to booking flight deals without having a destination in mind. Their emails features all the important things you need to start your flight search. This includes departure and arrival cities, price, airlines, booking instructions, and exclusive tips. Here’s the only downside – flight deals are not always exclusive. If you follow other flight deal websites regularly, you may find the same deal listed on other sites for free. Nevertheless, Thrifty Traveler has the competitive advantage of delivering these deals to your inbox. These emails are prompt and include all the information you need to book with just a few clicks. I now spend less time aimlessly browsing since I know that a great deal is coming my way. Wow, I’ve been browsing a lot in a few such sites. I will shift to Thrifty Traveler! Thanks. Yes! Add them to your list! Great job. some good deals are there. However none from India 🙁 I am looking for some Intra-Europe flights . Hi Nisha, these deals are from the U.S. only. Intra-Europe flights are also not available. This sounds really interesting, I’ve actually never even heard of a flight deals newsletter but it makes sense! I’ve always wanted to catch one of those error flights, but never seem to get to them before they run out or are over.. Perhaps I need those right to my inbox! This will be something I look into when we get back from our big trip next year. We tend to enjoy overland trips from country to country more (I get flight anxiety) but I know I’ll end up flying more when we’re back in the states! Cheers! I’ve found that the newsletters are great for inspiration and helps me with pricing. I now know when I see good deal because I’m constantly passively browsing. Where’s your big trip to next year? I have not come across Thrifty Traveler earlier, but it seems like a good place to get some nice deals. Will check it out though. Maybe we will be able to get a good deal for our next travel. I am wondering: “Does it worth to pay for a subscription if you fly just once or twice a year? 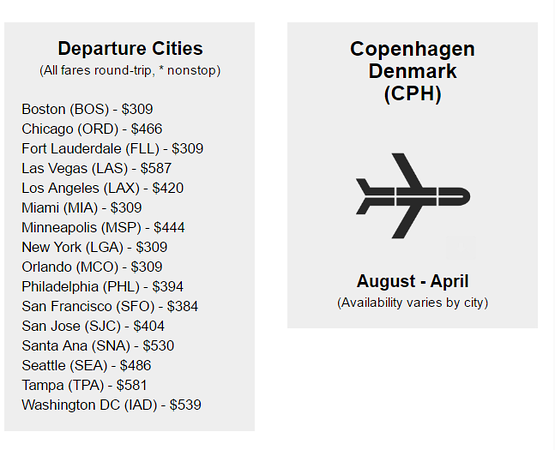 Because now I am chasing a certain route, to catch the best deal, but it’s the only flight that I’d pay this year. Usually I travel for a longer period at a location, so less transportation/flights for me. That’s the one thing I lack, flexibility to take time when I find all those amazing flight deals. But I always make it work! When there’s a will, there’s a way.